Probably every breeder praises his race. We, however, go a step further, because we do not know anyone who, after knowing the Bichons, would not be completely in love with them! Bichons are very unusual dogs. They have an extraordinary personality and such amount of love and affection in themselves that it is really hard to imagine. These dogs are completely free of aggression, trustful and good in the purest possible form. 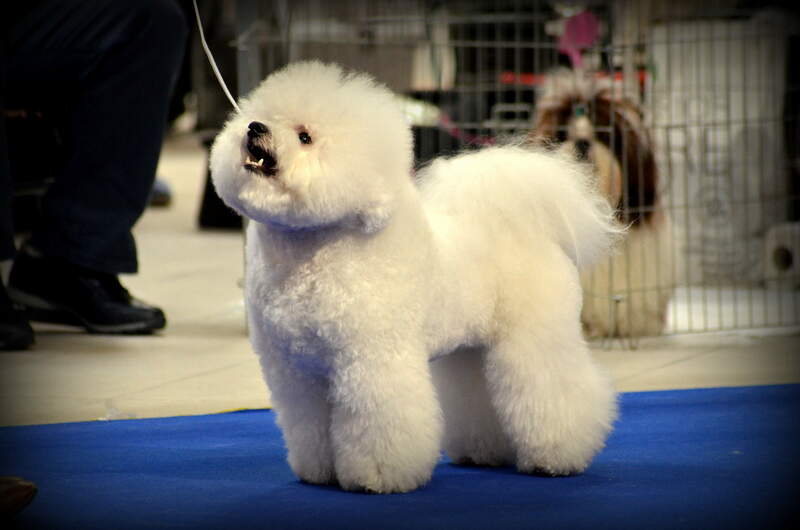 Perfect for both home and small apartments, for families with children and those living alone..
Bichons are sometimes called colloquial, because they have a single layer of hair, they have no undercoat, only a ground coat. A huge plus for me is the fact that they don't have typical dog smell. They are very clean and extremely pleasant. Their black "lips" are always dry. So it's nice to give that doggy a kiss! , especially when allergy is involved, must be considered carefully. Just as one painkiller does not work on everything and everyone, you can not generalize. If you are allergic and you want a bichon - check how your body reacts to it. Appropriate tests should be carried out because it is often a sensation of saliva, skin, and not hair itself. A dog is not a toy and such a decision can not be taken lightly. We make every effort to ensure that our dogs go to "trusted" hands, so please call/ write to us, we are happy to answer any questions and doubts! There are two allergic children living in our home - one with asthma. And we are lucky that bichons are not allergic, but before you buy any animal, check if you are not allergic to them! Do you like his character, temperament, etc.